Prior to the end of the Civil War, cowboys wore heavy-soled boots of virtually any style they could find. Often his boots were made on the same form for both the right and left foot. Although they eventually conformed to the foot, this wasn’t the most comfortable way to make a boot. With the beginning of the cattle drives, and the cowboy having to work cattle and ride a horse for months at a time, he started realizing he wasn’t wearing the best boot for the job. So, when he got to Abilene and the other cattle towns, the cowboy got together with boot makers and came up with what has come to be known as the cowboy boot. 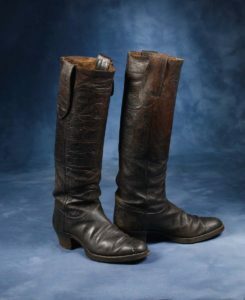 Early boots were called “stovepipes” because they were black, about fourteen inches tall and had level tops. 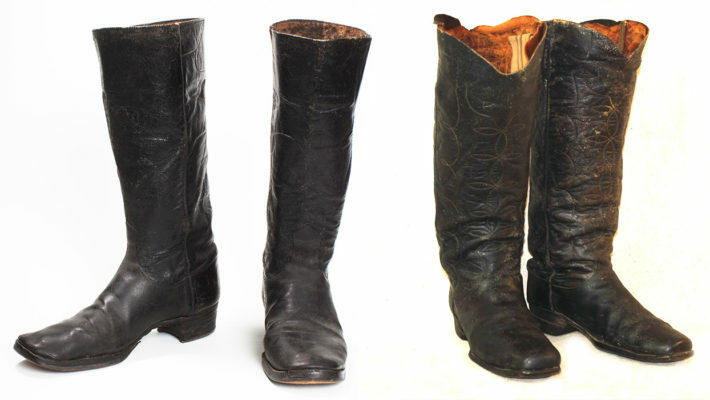 The 1870’s cowboy had three choices: boots off the shelf, boots made by a local boot maker or custom made mail order boots. 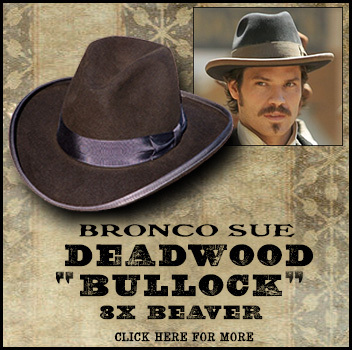 The Old West cowboy was very vain about his attire. He was willing to pay as much as a month’s wages for a pair of custom boots that were designed more for looks than comfort. Although the northern cowboy and the southern cowboy dressed differently, they did agree on their boots. The exception was how the boot was decorated. The Texas cowboy wanted a lone star or crescent on the front of his. The northern cowboy’s boots were heavily stitched. And their tops were rarely less than seventeen inches high. Boots had square or rounded toes. The soles were thin. Supposedly, to better feel the stirrup. Besides, a cowboy never walked very far. The heels were “underslung.” A small foot was desired, and the underslung heel provided a size ten foot with a size seven footprint. The heels were 2 ½ inch to as much as 4 ½ inch high. This prevented the boot from hanging up in the stirrup. In addition, the heels made it possible to “dig in” when working cattle. The tall heel also added a couple of inches to the height of a cowboy, who tended to be on the shorter side. 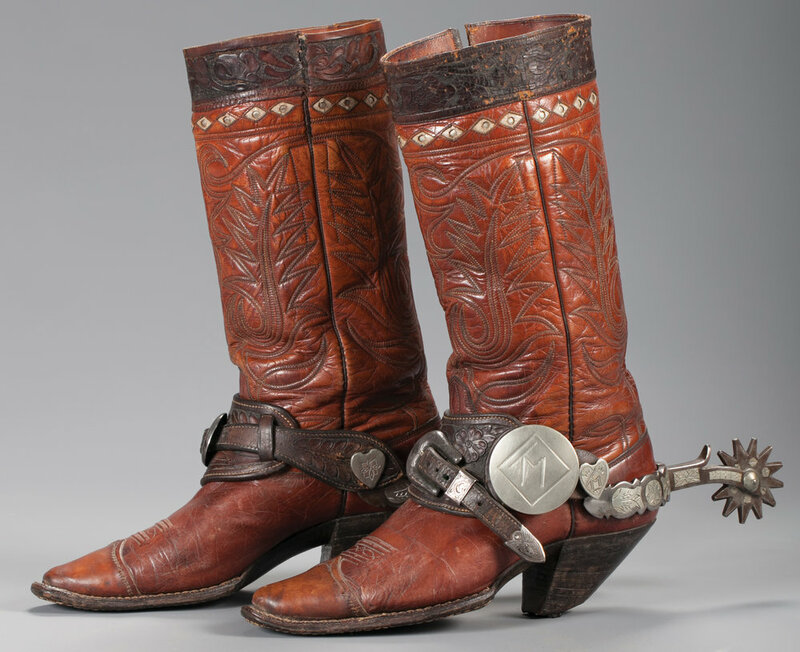 In the 1890’s, following the cattle drive era, performers in Wild West shows started wearing highly decorated boots. Then came the movie cowboy. Boots were no longer designed for protection against the elements and critters, or for riding and handling cattle, but for show and tell. And to tell it best, they always added a pair of jingling spurs! You can read more about Old West cowboy boots by grabbing this great book HERE.